Amerivon provides access to retail distribution, consulting, and capital to help you succeed in mass market retail. 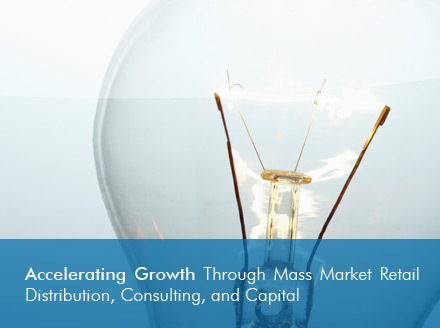 Amerivon accelerates growth opportunities in mass market retail channels by providing access to retail distribution, consulting, and capital. Our unique approach helps consumer product and service companies plan, prepare, and execute mass market retail channel strategies, while providing the capital necessary to achieve enduring success. Only Amerivon provides access to retail distribution, consulting, and capital to help you succeed in mass market retail. Amerivon helps companies identify, access, and win distribution agreements with major mass market retailers. Amerivon provides funding preparation, tools, insights, analysis, and actionable strategies to succeed in mass market retail. Amerivon provides private equity investment and mezzanine financing directly in portfolio companies.